Product prices and availability are accurate as of 2019-04-24 23:56:03 UTC and are subject to change. Any price and availability information displayed on http://www.amazon.com/ at the time of purchase will apply to the purchase of this product. 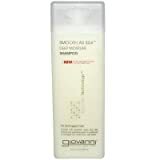 EverSleek Reparative Smoothing Conditioner smoothes and deeply conditions damaged, distressed hair without weighdown. It nourishes and smoothes even the most sensitive strands, leaving hair manageable and shiny. Safe for chemically straightened hair. 48-Hour frizz control, free of heavy silicones. The new standard of smooth has arrived. Ordinary smoothing shampoos can use harsh sulfates to cleanse hair, and have silicones that coat and weigh hair down. Free of harsh sulfates and heavy silicones, the EverSleek sulfate-free smoothing system gently cleanses, and uses natural oils for weightless 48-hour frizz control. EverSleek combines natural Argan, sunflower, and olive oils to penetrate and smooth hair, so that it stays weightlessly sleek through any weather. 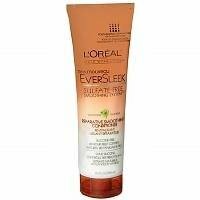 After using EverSleek Reparative Smoothing Shampoo, apply to wet hair and massage gently. Leave in for 1-2 minutes. Rinse. For added smoothing, use one of EverSleek's advanced treatments.